A research at the University of Twente has brought the aviation sector one step closer to lighter aircraft. PhD candidate Yibo Su has developed a method for bonding lightweight constructions made from thermoplastic composites. This means more opportunities to use these materials. 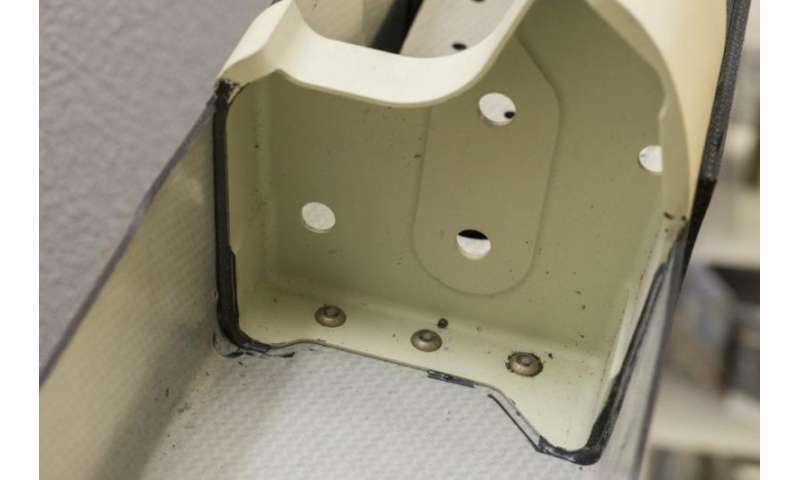 Thermoplastic composites are new, strong and – above all – lightweight and fuel-saving materials. They are made of fibres and thermoplastic synthetic materials. The use of thermoplastic composites has long been on the rise in the automotive and aviation sectors. For example, half the weight of the latest models from Boeing and Airbus consists of composite materials, of which a growing share are thermoplastic composites. But their increased use also throws up some challenges, in particular when it comes to the bonding between the different materials. The bonding between metal and thermoplastic composites was one such challenge. Su's study makes an important contribution to addressing this, paving the way for the wider use of thermoplastic composites. Thermoplastic composite parts are usually made using a material known as prepreg. This material is made of fibres that have been pre-impregnated with a plastic, which are then consolidated or stiffened using a press or an autoclave. Su has developed a way of placing a metallic insert into the mould and consolidating it along with the prepreg. This had never been done before and makes for significant gains in production time and cost. Su looked at which mechanisms help to ensure that the insert is firmly embedded in the thermoplastic composite. He then examined which factors affect adhesion. How rough or porous should the surface be in order for the plastic material to penetrate the insert and adhere to it? And which surface treatments are needed? Su discovered what the insert needs to look like and which surface the insert needs in order to adhere well to the thermoplastic composite. Thermoplastic composites are ideal for the automotive and aviation sectors because these materials are very strong and light. This means that less fuel is consumed. The material also has a long life, is ideally suited for automated production in large volumes and has good potential for recycling and reuse. Thermoplastic composites consist of fibres embedded in a thermoplastic resin. The fibres may be carbon fibre, for example, like those used to make racing bicycles and tennis rackets. There are other types of fibres too, but carbon fibres are the most common in aircraft construction. By placing the fibres in the main load directions, it is possible to make extremely light and strong constructions.